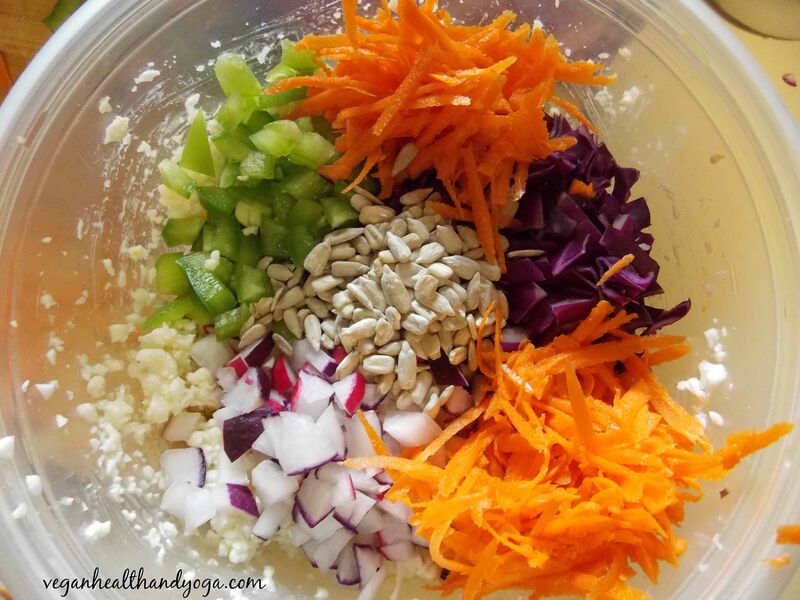 If your trying to cut back on calories and get more veggies in your diet, here is a great recipe holding the grains. 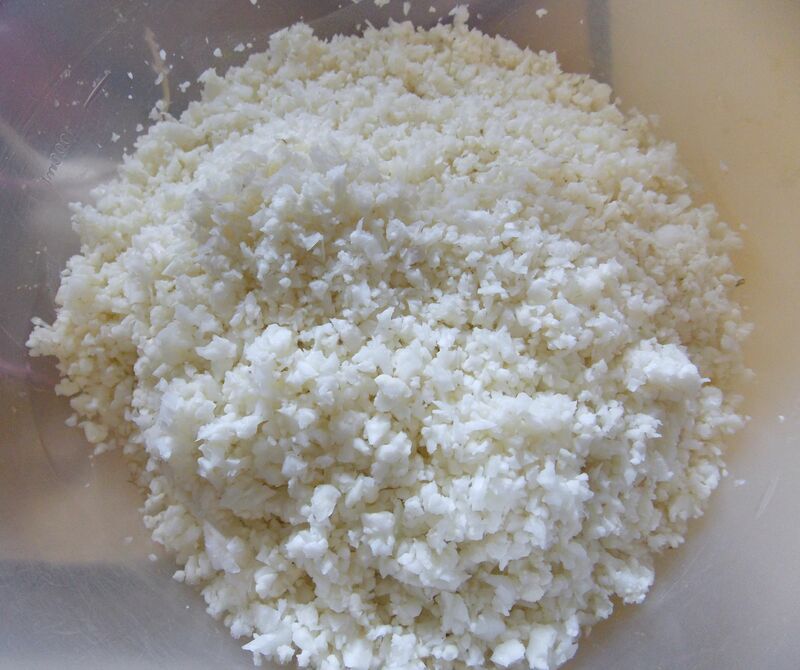 You can actually imitate the texture of rice and couscous by simply preparing cauliflower using a high powered blender for only a few seconds. Most people don’t eat enough broccoli much less cauliflower but these foods fight cancer! There are many studies linking cauliflower and cruciferous vegetables to preventing bladder, breast, colon, prostate, and ovarian cancers. Steaming or boiling cauliflower which is the most common way of preparing it can destroy most of its precious phyto-nutrients, specifically sulforaphane. The benefit of pulverizing cauliflower raw in the blender is that this process counts as “chopping” which is how sulforaphane is born in broccoli and cauliflower. This is the phyto-nutrient known to fight cancer. 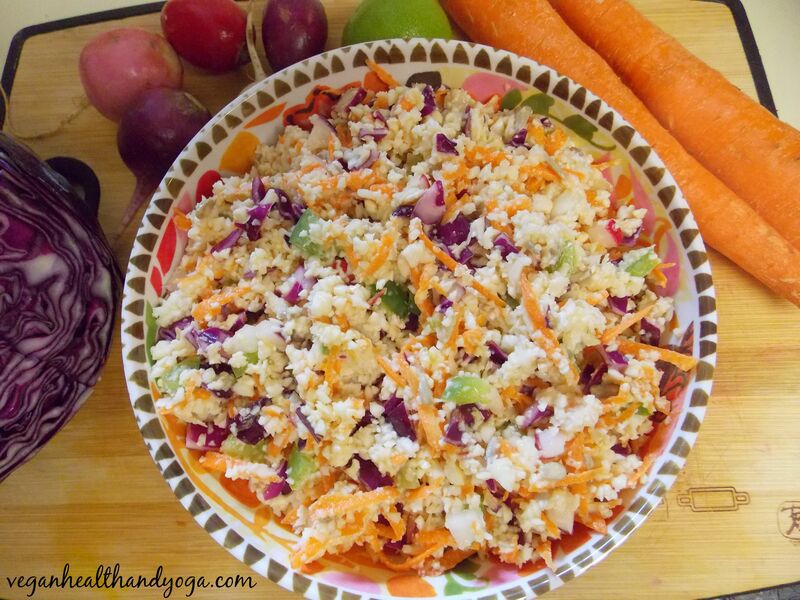 So change it up and get more raw with this delicious recipe! 1. 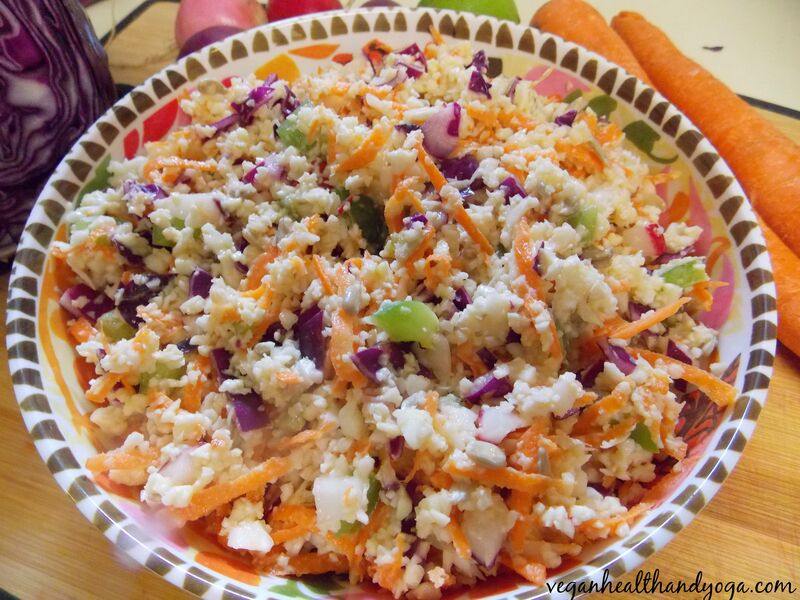 Add one fully chopped cauliflower into high powered blender and pulverize until shredded. It literally will look like couscous or rice. 2. In a large bowl, mix in all ingredients.